Less than two years ago, many auto analysts believed that Chrysler would not make it. The company emerged from bankruptcy owned by its unions, Fiat, and the American taxpayers. GM, its much larger rival, had the scale and market share for a comeback and its forthcoming IPO shows that investors believe that the company can stand on its own and pay back most, if not all, of its government financial obligations. Chrysler was burdened by one of the oldest fleets in the industry. The flagship of its Jeep division, the Grand Cherokee, was built on a platform that was decades old. The Chrysler products included models released years ago, like the 300-series, PT Cruiser, and Town and Country. Research firm Truecar said that Chrysler's share of the domestic market fell to 7.9% last October, about the same percentage that upstart Hyundai has today. Its sales were nearly passed by Nissan, which would have put Chrysler at the bottom of the totem poll among U.S. car companies, as measured by sales. What a difference a year makes. Truecar expects Chrysler's sales to surge 40% year-over-year in October, a rate that will not be matched by any of its rivals. That would put its domestic market share back at 10%. The two largest car companies that sell vehicles in America -- GM and Toyota (TM) -- are expected to lose market share in October. 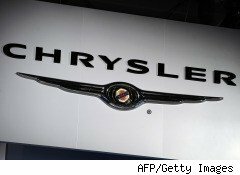 Chrysler CEO, Sergio Marchionne, who is also the head of Fiat, has argued for some time that Chrysler would return to health. He based some of his confidence on cost cuts, but he also challenged skeptics with his claim that new models would help revive the company. Chrysler has introduced its new 200-series. It has also launched a new Jeep Grand Cherokee. The No.3 U.S. car company also expects to begin to import Fiats for sale in America. Very few people believed Marchionne, but its turns out he may be right.